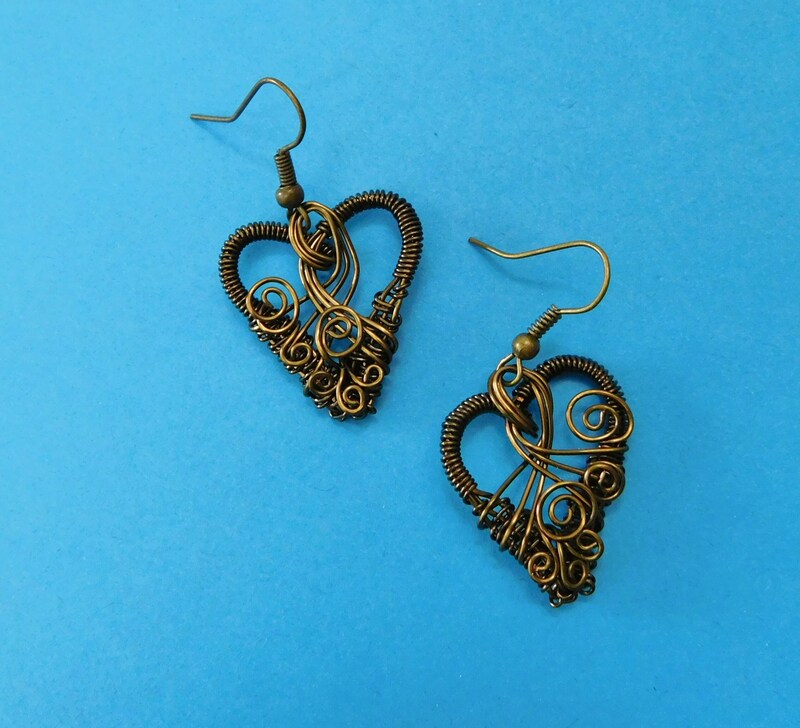 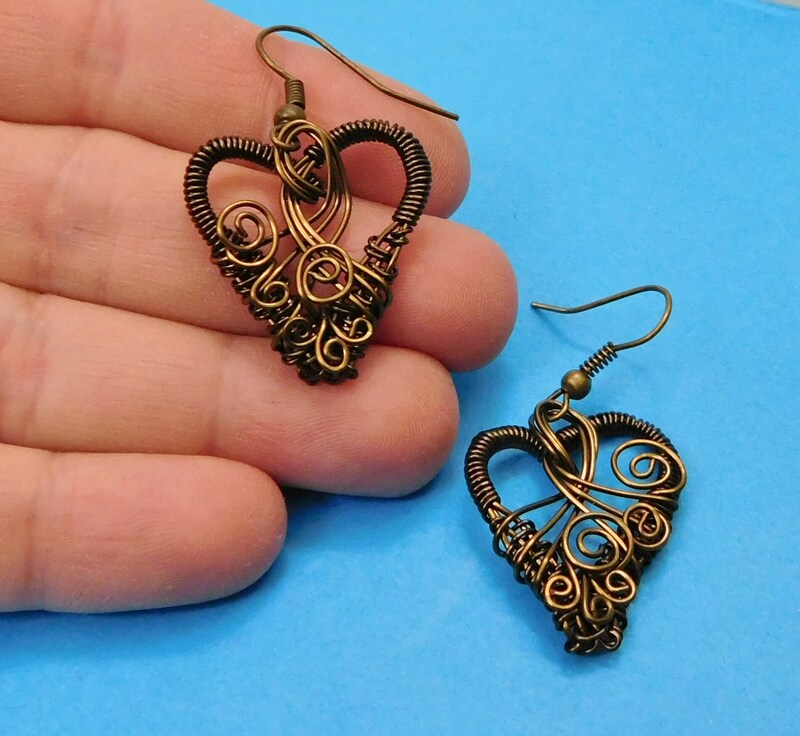 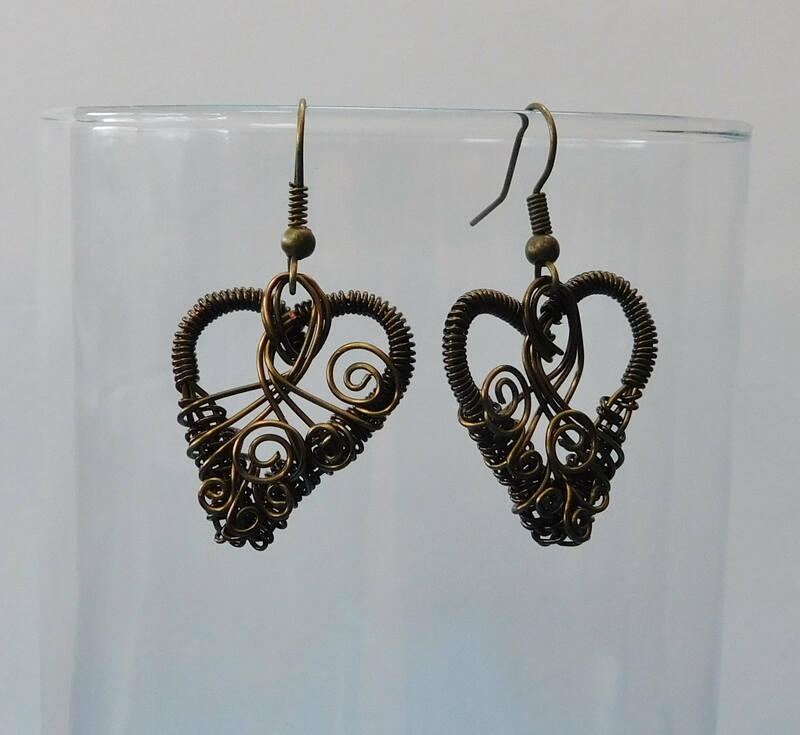 Non tarnish Vintage bronze colored copper wire is hand woven and sculpted into two 1 inch by 3/4 inch hearts. 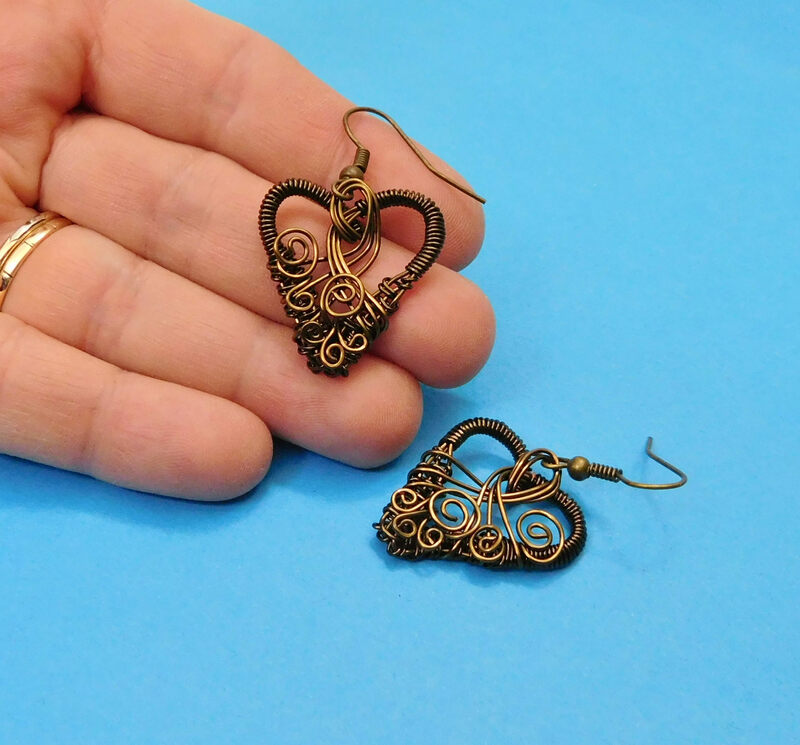 These warm, wonderful, classic, yet fresh earrings are destined for repeated wear. 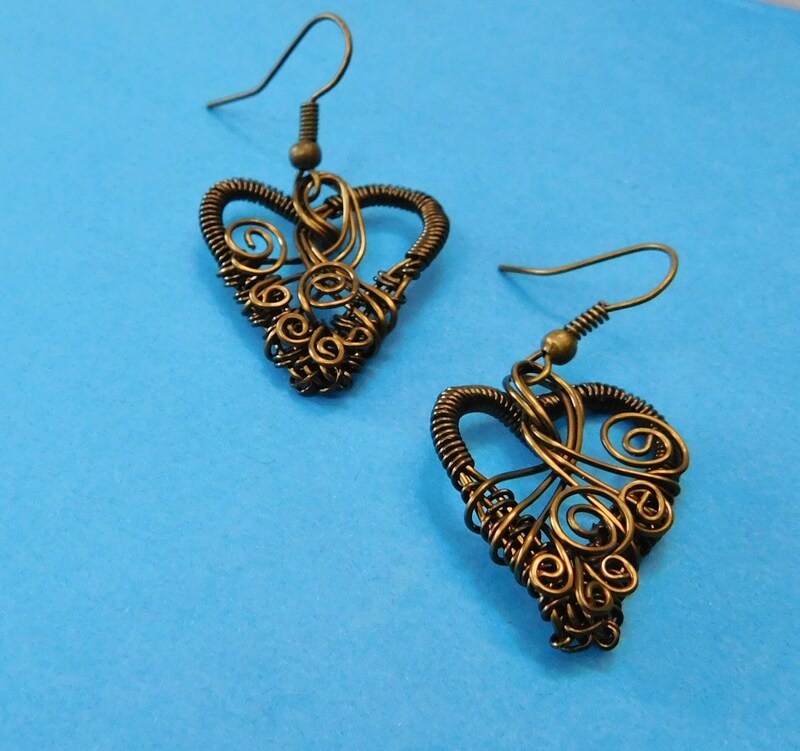 Give her the gift that will become her next pair of favorite earrings.